With a $300 loan and an idea for the first personalized flat-pocket checkbook and holder, W. R. Hotchkiss founded Deluxe in 1915 in St. Paul, Minnesota. The company went on to develop many more innovations, helping beat out the competition and become the industry leader it is today. Now, more than 95 years later, Deluxe is a $1.4 billion company which is a growth engine for small businesses and financial institutions as well as one of the top check producers in North America. They have a pretty good webpage that shows jobs that can be done remotely. When I searched just now there were about half a dozen jobs. One little thing . . . can make the world a better place for someone. One little thing, that probably doesn't matter to you. One little thing, that once you do it, you probably don't think anything about it after that. You probably forget you even did it. But I tell you it can make a difference in someone's life. It could make a hopeless day become a day so bright with possibilities that one is almost blinded with warmth, joyfulness and hope. What is that one little thing? A quick, positive note of ENCOURAGEMENT. The last few months, I have been working tirelessly on this blog. Trying to provide good information. Trying to help anyone that happens to stumble upon my website to realize their dreams and start taking their first steps toward those crazy dreams. Though I'm averaging several hundred visits on my blog per day, I'm getting no comments and my Google Adsense ads are not being clicked on (basically, they are not working). I was getting discouraged, wondering if I was really helping anyone. Things were looking pretty bleak and I was wondering if I should just perhaps quit. When suddenly, several of my Twitter Followers must have felt my despair in the ether and sent me encouraging tweets. These people had no idea that their messages -- which were no more than 100 characters -- gave me the fuel to keep going. To follow my dream and continue my work on my blog wearing a goofy smile on my face. I'm sure they dropped a tweet and haven't thought of it again, but those little words meant everything to me. So, "thank you" everyone that encouraged me this week. You have made a difference in ways that I can't even be described sufficiently here. "I should drop so-and-so a note." or "I should tell so-and-so I really like this." or even "I really enjoyed that." Do us all a favor, don't hesitate. Do it! You have no idea how a few little characters become the fuel to BIG POSSIBILITIES, BIG OPPORTUNITIES and BIG DREAMS. This post is dedicated to the people who have given me encouragement this week. Thank you from the bottom of my heart. You made my day much brighter. Devaluing your skills and experience . . . STOP THAT! A while ago, I was working for a company that was in its infancy in using social media and developing their website to become an interactive marketing presence. I was working in an administrative capacity then, assisting the executives of the company. They had little idea that I had some experience with social media, promotions and website design -- but I didn't make very much of it. It was a job and the pay was okay for what I was doing. They seemed happy with what I could do but, they had no real idea that I had the ability to design websites from scratch using HTML. They had no idea that I had years of online marketing experience. They had no perceivable idea that I contributed to several blogs regularly. They even had less of an idea that I continued to consult clients in building their social media presence. One day a group of us at this company were having a meeting to discuss the social media efforts and the website of said company, when the Manager of Digital Communications, a person making about $15K above my salary, admitted that her knowledge of simple HTML coding was lacking -- among other rudimentary website design & coding practices -- in this case, she admitted she didn't know how to use tags and anchor codes. What?! I couldn't believe it. As the meeting progressed, it became evident that I clearly knew more then this person about digital communications, thirty minutes later I realized that I knew more about social media and website set-up than the majority of the people in the room! And they all were making way more money then me! How did this happen? Later, I had to admit to myself that this happened because I didn't let people know what I could do. I didn't market myself or my skills effectively, and/or let them know my rate of service. The Manager of Digital Communications, however, did communicate all these skills to the right people and was therefore able to negotiate a better salary and a much more prestigious job title. Simply put, she valued her time, experience and expertise and knew how to put a lucrative price tag on it. And I did not, therefore I lost out. And for many of us, this scenario plays itself out over and over again. So many of us feel like our employers do not appreciate our work. We are struggling to pay bills and we are not earning what were are worth. We must change this. And to effectively change this, we must first change our mind-set and our attitudes. Each and every one of us have viable skills, experiences, and/or knowledge that can take us to the next step. Dog-gone-it, each and every one of us has what it takes to get us to our very dreams. So why aren't we making the money we need to live, or to start our businesses, or to get out of debt? Because we don't properly value what we know, what we've experienced, what we can do for others. It's Time to Change Our "Value Attitude"
Seriously people, let's do a little exercise that can show you something powerful. I want you to take an entire day and write down all the things that you do well. No matter how silly it seems, just write down everything you know how to do. Now take your list and begin looking for positions that ask for the skills associated with each of the things on your list. For instance, what does a Twitter Account Manager make? 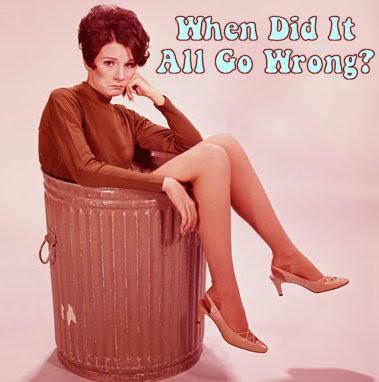 How much does an administrative assistant with 10 years of experience get in salary on average? How much does a tile job cost for the average-size bathroom? Some things on your list are so big and complex that you have to cut it into smaller pieces to get a fair idea of the value. For instance writing and self-publishing a book could be cut down into: Researching, Writing, Editing, Designing, Marketing & Promotion, Selling, etc. Are you impressed yet with all the things you know and can do well? Are you also amazed at how much people are getting in salary for skills, experience and knowledge that you have? Good. You are learning your value and you are changing your "value attitude" to reflect a more realistic appreciation for skills and experience. You Are the Expert, Act Like It! It's important that you know the value of your efforts, your work, your expertise. See, that last word? It means that you are the expert. Yes, you are the expert on the topic of you and what you can do. Too many times we wait for others to tell us our own value. We need to change that. We are the expert. Therefore, we need to thoroughly research the market value of our skills. We should know the value we bring to a team or project or company. And most of all, we should be the expert/professional that convincingly outlines the cost to rent out our expertise/skill. Let me say that again only a little louder: YOU ARE THE EXPERT. And this is the attitude you should have when you apply for a job, or bid on a contract, or court a client. Part of your job, as an expert, is to tell the employer or the client what it will cost to get the valuable skills and experience they need -- the same valuable skills and experience you possess. First Rule of "Value Attitude" Club . . . Don't Work For Free! Never, provide free work thinking that the employer/client will be so impressed with your work that they will offer you a permanent job with loads of money. This almost never happens. There are always exceptions, but these exceptions rarely involve YOU. Make sure what you trade is an advantage for you and will gain you more business, a higher salary or recognition. Working for free is NOT marketing yourself. Working for free is just that --working for no advantage. Cool guys never look back at explosions. Be willing to let the opportunity or deal blow up behind you and don't look back. In other words, if people are not willing to pay a fair market rate - which you have now totally researched - then be willing to walk away and pursue other opportunities. NOTE TO SELF: Always have other opportunities in the works -- it's just good business. "You know, my normal price for projects like these is $5,000. Take it or leave it. To tell you the truth, I have other projects on my plate and if you are not interested or my price is above your budget, I totally understand and it's cool. That's just what I charge for this type of work, and I don't go lower." "You know, I'm looking for a salary range around $75,000. Take it or leave it. To tell you the truth, I have other opportunities and if you are not interested or this above your budget, I totally understand and it's cool. I've researched this thoroughly though and $75,000 is fair market value for the skill and experience I'd bring to this department (or company). I'm sorry but I can't go lower." Now, repeat this script three times a day for the next 30 days, until you can recite your script in your sleep. Get comfortable with the statement, put it to music if you have to. It will be what you will tell people and you will not deviate from it. It isn't a pie in the sky number, it is something you have fully researched and as an expert, you know your value. If You Are Frightened By The Word "No"
If you are in fear of rejection, then you have yet to read my blog post: Rejection is Your Friend. Read it now. And then, get used to rejection. If you must, anesthetize yourself from the pain of the word "No" by having a friend tell you "No" a million times, to get you used to hearing the word. Remember, my sad story above. I learned the hard way that it's the truth when people say, "Those who ask . . . receive!" 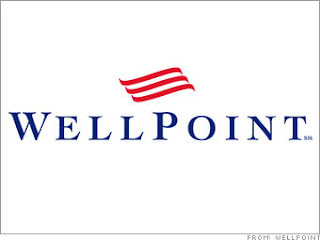 WellPoint is one of the nation’s largest health benefits companies, with more than 36 million members in its affiliated health plans and nearly 67 million individuals served through its subsidiaries. On the Job Search Page type in one of these keywords in the Keyword/Job Number box and then click on [Submit]. They have many, many jobs that are flexible in location. Most people can not possibly wrap their heads around the idea that you can make money from sharing a comments, every few hours throughout the day, that takes at most 140 characters. Well, only 7 years ago (Happy Birthday Twitter) most people could not wrap their heads around the idea that millions of people would enjoy SENDING 140 character blurbs called TWEETS through a social media platform, all day - every day. But that's the wonderful thing about living in the Year 2013. You love it! And you can make money doing it. Ain't life grand? Have you amassed a large number of followers interested in this topic? (YES? See below and follow directions; NO? Get to work getting more followers). The key to gaining extra money through tweeting is having a large following on twitter. A large following would be at least 25,000 active followers. The key word here is active. People on Twitter are notorious for getting on, creating an account, tweeting and following for a few week,s and then becoming in-active. This type of twitter follower is not going to help you in this endeavor. So, what I'm saying here is the key isn't how many followers you have, but how many followers that: retweet, click on links, favorite and tweet -- are active on Twitter. To make money on twitter you need at least 10,000 active followers, which means that the average Tweeter user needs 50,000+ followers to make money via Twitter. If you have less than 50,000 followers (like me) then you can only expect a bit of "pocket money" through twitter advertisements. If you want to know how to gain more twitter followers, I will be providing an article about safe ways to do this without getting your account frozen in a later article. Stay tuned. Of course you should be concerned about the balance between earning revenue (through ads) and providing good content to your followers. Here is my advise: keep your tweeting ratio at one ad per seven tweets (1 per 7). Keeping this ratio seems to be less annoying to followers. Any more ads and you are in danger of losing followers. So, if you have 25,000 active followers and can provide 6 original, quality tweets per day, you may be able to make money tweeting by using these services. I'm listing them in the order that I personally LIKE after thoroughly researching them. 1. MyLikes -- ad platform can be used on Twitter, Tumblr and YouTube and your blog. I like this option the best because I am a RETWEETER. I look retweeting good content that my followers share and that I think my 18K followers should know about. MyLikes works best with the way I tweet. It's all about your influence. You share ads and articles that MyLikes list and that you want to share. Each ad is worth a certain amount (and they tell you up front). Choose from thousands of ads and articles, they have a nice selections which makes me very, very happy. Schedule the time the ad is tweeted to your account. And wha-la it's done. Payout weekly! 2. Sponsored Tweets -- ad service for Twitter that reminds me of Google Adsense. You basically sign up, then set your price per click for ads you tweet. They offer ads that would suit your audience (so carefully choose the keywords when they ask you for those). Choose the ads you tweet from a list of available ads. You get paid for every click on the ad you feature. I'm just not happy with the idea that if you pay $1.99 per month, you will be placed at the top of the advertising list to receive more opportunities. 3. Amazon and Associates -- Yes, I'm talking old school way for making money. Amazon affiliate program allows you to create a special link for any product that they sell. You can shorten the link (using bit.ly) and tweet it with a quick product description. If someone buys this project through your link you earn a commission. 4. Ad.ly -- You create a profile of your interests, then advertisers can choose your account to publicize a campaign. You agree to send out a specific number of tweets on a specific schedule. The focus on celebrity twitter accounts and generally they want people with 100K followers or more. 5. 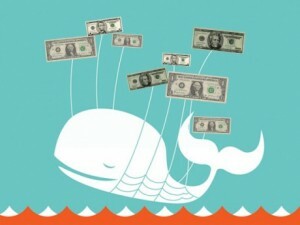 Pay4Tweet -- Sell your tweets, you set a price from $1 to $10,000. The website is very simple and easy to maneuver through. They have a great FAQ section and blog and I would recommend reading it before you do anything. All these programs pay through PayPal. 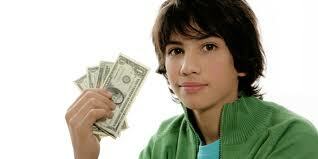 I'm looking into more way to make money from your Twitter account. There seem to be a few more available like "Ad Per Tweets" and "Share Magnet". I just haven't had time to research them thoroughly yet. Come back to this blog post, I intend to update it with more options to make quick money at a later date. PERSPECTIVE: The quick money series on Telecommuting Millionaire? is to help you find funding so you can take your first steps to following your dreams. 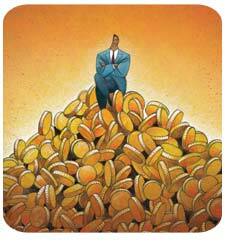 After you read a few of my Quick Money articles, you will realize that Money is Everywhere. Don't use these quick money ideas, unless you understand that you are using these ideas . . . not to pay off debt, not for extra salary, not for "fun money" . . . but as a stepping stone to financing the first steps of your dreams. Dog-gone it, we are going to gain our financial freedom together! Read: Money is Everywhere to get the proper perspective. 1. Submit applications proving your expertise, skill or experience. But most of all, they want to know that you will provide value to the site and take this opportunity seriously. 2. Create a compelling profile by writing a bio that will convince reader that you are the expert for the job. 3. Perhaps answers the first few questions for free to build a good reputation. From their website: As a contributor to Askables, you will be paid for your contribution by being given a share of revenue created by your content. The more active you are on the site, the higher the revenue share you receive. Askables Experts receive an upfront payment per post as well as ongoing ad revenue. The payment depends on your expert level. Registering is easy. Do you have strong psychic ability? Well, this answer site is for you. Founded in 2006, the Online Psychic Network by BitWine, according to their website, has become a top destination place for anyone looking for guidance about love, relationship and life’s day to day challenges. Over 3,000 genuine Psychics and spiritual advisors from around the world are available for online psychic readings, spiritual coaching, and connection with deceased loved ones via confidential, one-to-one online chat. You can be one of those and make money doing it. We all have something valuable to say. Whether you're an accountant, a computer expert, a blogger, or a good gossiper, you can earn money selling what you say to others over the phone or through email. It's an easy process. You get a free Ether phone number, set your rate, take calls when you want, market yourself and when people pay for your answers Ether takes 15% and sends the rest to you! Nice for those will an already established consulting business, don't you think? Where a question is answered every 9 seconds and has more than 20 million people on site. This site is featured on CNN, NBC and Good Morning America. There are a number of experts on the site that started with the intention of this activity simply being extra income and has actually grown this into a full-time endeavor. To set up your own little psychic hotline! Whether you specialize in psychic readings, tarot, love or other offerings, listing your psychic services on KEEN has many benefits. There are no set-up fees, KEEN doesn't earn money until you (the psychic consultant) do. When you sign up, you get a free KEEN toll-free phone number that forwards customer calls to your private number (which is never revealed to consumers, not even on caller ID). You also get tools to manage customers, sell your services, promote your psychic business, and get paid. They also have an affiliate program, so if your blog is about psychic phenomenon you may want to check this out. Is always looking for Experts and Writers. The website started in 2006, KnowBrainers is a social question & answer community that saves you time, let's you make friends with people having common interests, and gives you a chance to make money sharing your knowledge. You must answer free questions first to build a good reputation. LivePerson LiveExperts connects consumers in need of professional advice and services with experts who are available and have the skills and experience to assist them. Experts on LivePerson LiveExperts are therapists, educators, developers, life coaches, spiritual advisors and more. Since 2004, our experts have helped millions of consumers get the immediate answers they are seeking. Whether you are looking to supplement your income with new customers and build your consulting business online or provide an easy way for your existing customers to connect with you at any time and from anywhere, LivePerson LiveExperts provides the technology platform that makes it easy for you to work online. Score some extra cash while helping others. 1. Users post questions and offer a bounty for a tutorial 2. you write up a tutorial answering their question and an amount you want for the information. 3. They show 20% of your tutorial to the entire StudentofFortune audience with and your price for the tutorial. 4. When other users buy your tutorial you receive your price minus 18% (which goes to StudentofFortune). 5. They keep your tutorial up so you can KEEP making money on it over and over again! Get PAID as a part-time tutor. Put your knowledge to work! 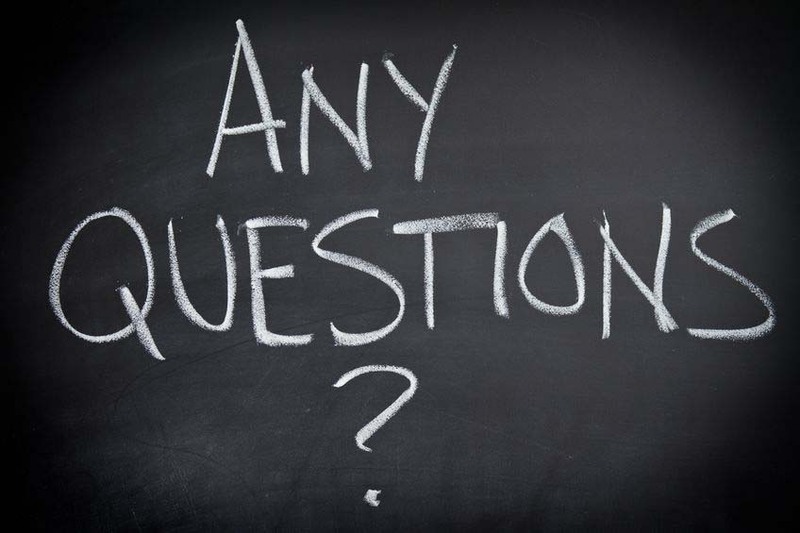 Pick and choose the questions you want to answer at anytime. REGISTER and post your resume for free. Remember, students only select tutors with high ratings and good feedback, so start-off by answering a few questions for free to build up your reputation. Their system is directly connected to GoogleAdsense to create income. Set up your account and answer the first 50 questions for free. After you answer 50 questions they will set up an Adsense Account for you. From their website: "Your goal is to have users select your answer as the "Best Answer" among all other answers posted to that specific question. If your answer is selected as the "Best Answer" you will earn ongoing advertising royalties on that thread and this question becomes yours to monetize. The more "Best Answers" you receive the more money you earn!" So, this should get your started. I say this because I have even more answer sites to share with you. But it was just going to take me to long to complete this post and I wanted to make sure I didn't hold you back from making quick money and following your dreams. 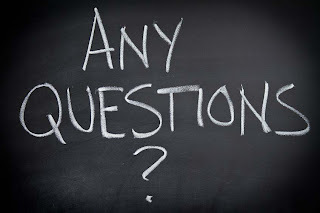 Please bookmark this post because I'll be updating this post several times to add more answer sites in the upcoming days and you won't want to miss an opportunity, right? *Disclosure: Some of these Answer Sites I've listed here have affiliate programs and I have elected to be part of their affiliate program after researching these websites thoroughly. If they were on the up and up, I included them. If they were not (had past complaints) I did not. Offering an affiliate program did not in any way weigh my judgement to use them in this post, I was going to offer them as quick money solutions on my blog, anyway. Of all the company websites, I love First Data! They make it so very easy to find good work-at-home positions and they always have loads of jobs to fill. They are the jackpot for people who want to work from home and continue their career with a solid firm. What is First Data? They explain it best. "First Data is a leading provider of payment solutions for financial institutions and merchants around the world. Our 25,000 employees are industry experts helping businesses simplify payment processing and improve the customer experience with our broad portfolio of solutions. With over 42 Billion merchant transactions annually and nearly 750 Million credit/debit cards on file, First Data powers the payments value chain in over 80 countries across the globe. We are proud of our extensive customer relationships supporting over 7,000 financial institutions and the largest merchant distribution network in the industry with over 1,200 partners servicing merchants large and small." But here is what is truly great about this company -- their very simple website that is actually a powerhouse of wonderful, because they make it easy to find what you are looking for, work-at-home positions! Click on the arrow at the end of the LOCATIONS box. Press GO . . .
New page with a list of telecommuting jobs! If you were ever a 12 year old boy, you know that Spring and Summer months are the best time to make a nice bit of money. And if you live in Florida and California, you can make a good grip of money all year long. Do you know what 12 year old boys know? That you can make quick, good money . . . mowing lawns! Start in your neighborhood. You can create simple flyers to announce your services to your neighbors, but the most effective way of getting clients is to knock on doors and ask if your neighbors need their lawn mowed. Some people charge $1/minute for any yard work. An average yard (2000 square feet of grass) can take 30 minutes. Charging $25-$30 per mow is acceptable to most. Never charge per hour, charging by the hour can scare customers away. If someone asks now much, estimate your time (this yard will take me 1.5 hours) then give them the price $37 (that's a little below $25 an hour) and if you complete the yard faster your higherly rate is larger. A Quick Introduction to Copyright, Trademark and Patents. If you create something, anything, you should have a rudimentary understanding on how to protect your stuff, your ideas . . . your gold. No, literally your idea is golden, and could be worth a lot of money! The first thing you should do after writing it down, is protect it. A simple name could gain you a life-time of wealth. Did you know, that after the 50th Anniversary of Marilyn Monroe's death, her name and "brand" (that's a marketing term for "identity" for you and me) is still worth millions today? Companies like Authentic Brands spend tens of millions of dollars (that's $10,000,000+ to you and me) to acquire famous people's identities and rights to use their likeness! You can read the article about Marilyn Monroe's brand here. So, if you are a daydreamer that's great . . . dream. If you are an inventor, that's great invent. If you are a creator, then do your thing! But, make sure your stuff is attributed to you and no one else. Here was what I've found about the topics of Copyrights, Trademarks and Patents. So, here is what you need to know in a nutshell. All three "intellectual property" classes are registered with a federal agency. They give the creator "exclusive rights," which means that the owner/creator has the rights to earn money or use the item, and most importantly -- prevent anyone else from using or profitting from the creation. Copyright = someone's original idea in recorded fashion. It can be in writing, computer code (program), lyrics, photographs, recordings. A copyright is automatic and placing the copyright symbol (c) and "All Rights Reserved" on the item is enough to protect your work. But it's best to register your copyright with the Library of Congress - http://www.copyright.gov. Copyrights can and do expire after a lifetime+ 70 years. Patent = are for inventions. The invention must be different from anything else (or at least have components that are different from anything else). It must be useful and can't be obvious. One must register the patent with the Patent & Trademark Office - http://www.uspto.gov/patents/ to gain full protection. However, it can take up to 6 years to get an invention registered and can cost over $10,000. Patents can be sold as an asset (like a house or stock). A patent is only good for 20 years. Trademarks = are for identity or brand protections - basically, it protects the identity of a company, service or product. A trademark describes something, but is not the actual something. It can be a word, name, symbol or device used to identify something. Many say that you don't have to register a trademark, just attaching a TM symbol next to the mark gives you "common law" rights. However, one must register a trademark to gain full legal protection. It costs around $350 to register a trademark and can take from 6 months to a year to fully process. Register a Trademark or Servicemark at http://www.uspto.gov/trademarks/. They can be renewed, so technically a trademark can live on forever and never expire. Good news for Coca-Cola right? "The most famous case is sports announcer Michael Buffer, who currently makes more money from his phrase "Let's get ready to rumble" than he does from actually announcing boxers and letting them know that there might be rumbling. He's reportedly made $400 million by licensing his phrase to movies, commercials, video games and such." Can you believe that! That could be YOU. I'm only outlining a quick introduction to this topic because I think it's important that (in your goal for financial freedom) you know about these tools that can help you. It's important because these very tools can help you make a profit from your ideas and hard work and protect your ideas and hard work which will allow your family, for generations, to benefit from your hard work. Please, please people. If you create something, invent something, work hard to develop something; you should look into and use any of these three protections before you present any of your work (in whatever form it may be) to another individual or to the public in general. Protect yourself, you'll be so glad you did! For more information on copyrighting, trademarking and patenting your stuff, I'm listing a whole bunch of resources below. Please, bookmark this page and refer to it often. I want us all to live happy, prosperous lives with well protected ideas that will afford generations of success. UPDATE: Read Arthur Frommer gets his brand name back from Google. And see what can happen if you don't protect your work and your brand. Very good article that illustrates exactly what this article is about. Protect your ideas people! Good luck and remember, I'm counting on YOU to become prosperous because I've always wanted influential friends in powerful and rich places. How To Live Your Dream . . . Starting NOW. Come on people, I'm not a mind reader.